Every since my Little One was six years old and discovered the world of Furby, it has been and remained one of her favorite toys. My Little One has collected numerous Furby Booms, as well as the smaller Furblings over the years, all of which are displayed proudly in a special spot in her bedroom. She often gets them and plays with them, taking care of their Furby needs and growing their world with the hatching of new virtual Furbies. So when my Little One caught wind that there was a new Furby in town, she was excited beyond words. The newest Furby is called Furby Connect. Here is a video of the new Furby Connect in action…. • HATCH super cute virtual babies… Furblings! Over 60 adorable Furblings to discover! • CARE for your Furblings by feeding, cleaning, and healing them in order to level them up and reveal their hidden traits in the app. • COLLECT over 100 different items you can use to take care of your Furblings. • GROW your peaceful virtual Furbling village into a busy Furbling paradise over time! • NAME your Furby Connect and watch it remember its name! • FEED your Furby Connect with virtual food using the app to find out what it likes! Furby Connect likes different things! • LAY over 60 different virtual Furbling eggs! • DISCOVER what happens when Furby Connect uses the toilet in the app! 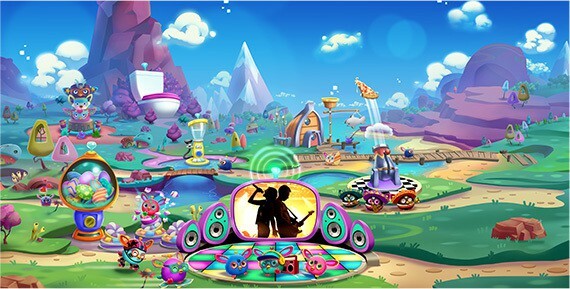 • PLAY with Furby Connect as it talks about what happens in its virtual world! NOTE: The Furby Connect World app is only compatible with the Furby Connect toy (sold separately) and is not compatible with prior apps or other Furby toys. You will need to enable Bluetooth on your device to connect the toy to the app. Please make sure to check the list of compatible devices. Furby Connect will also react to physical play. Kids can pull Furby’s ear, pet Furby, tickle Furby, play with the Furby antenna (joystick), and more to make the Furby Connect react. Furby Connect will also chat with another Furby Connect if you have more than one. Furby Connect comes in Coral, Teal, Blue, Pink, and Purple. We have the pink Furby Connect of course with how much my Little One loves pink. I think that teal will be next on her list, but we are hoping that Furby Connect comes in cool color patterns like the Furby Booms do. Get ready to discover a world of surprises with this Furby Connect friend and the Furby Connect World app (see app details below). This Furby Connect friend has a light-up antenna that glows when there’s something new to discover in the app — including music and videos! This Furby Connect friend has lots to say! Even when Furby speaks in Furbish, it’s not hard to figure out what Furby means. This Furby Connect friend has colorful eyes that display more than 150 animations to help express what Furby wants. Interact with a Furby Connect friend by petting, tickling, or shaking Furby, turning Furby upside down, or even moving its antenna like a joystick — then see how Furby reacts! When this Furby Connect friend syncs with the Furby Connect World app, there are more physical and digital ways to interact and more surprises to discover. Does Furby need some beauty sleep? This Furby Connect friend comes with a sleep mask. Just put the sleep mask on, and it’s good night Furby! To wake Furby up, remove the sleep mask — Furby will be bright-eyed and bushy-tailed for more fun! Get the Furby Connect World app to explore a world of surprises with a Furby Connect friend. Watch videos together, feed Furby with the app, and raise virtual Furblings in the app. The Furby Connect friend gets updates and new content by connecting to the app! Includes 1 Furby Connect friend, sleep mask, and instructions. •	App images on package combines multiple scenes from the app. App images not final. •	Furby Connect World app works with select iPhone, iPad, iPod touch, and Android devices. Updates affect compatibility. Check Furby.com for details. In-app purchases enhance game. Ask a parent first. Not available in all languages. This app is not compatible with prior Furby generations. 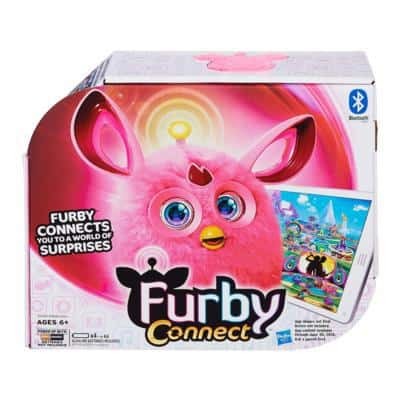 *The new Furby Connect has a more reliable connection to the app through the Bluetooth connection. *The colorful eyes on Furby Connect are awesome and a great upgrade. *I love that you can put Furby Connect to sleep with the included sleep mask. For the older Furbies, you had to wait for them to fall asleep, which could take some time, especially if you had a couple of Furbies that were talking to each other. *I like how the antenna glows when there is something new in the app. That is pretty awesome and gets kids excited to see what is new. There is quite a bit that I could go on about with Furby Connect, but I think that the above really starts to give you a picture of all that Furby Connect can do. Furby Connect is recommended for ages 6 and older and I agree with this recommendation. My Little One received her first Furby at 6 years old and Furby has remained an important and used toy for 3 years now. The excitement for Furby has not work off for my Little One. She doesn’t play with them every day, but she does go and get them and still plays with them. I can see Furby Connect being a hot item again this holiday season. I have noticed that they appear to be hard for stores to keep them on their shelves lately. If you are looking for Furby Connect, you can find them at your local toy retailer. I recommend checking out Furby Connect. We love Furby and it has been a toy that has maintained my Little One’s interest for years. To find our more about Furby Connect, visit Hasbro here….